Fox has announced a delay of the season premiere of Glee (Thursdays, 9/8C). It will now premiere on September 26th. No other details were given. Fox’s schedule for Thursday, September 19th: a new episode of The X-Factor (8/7C0 and encores of Dads (9/8C) and Brooklyn Nine-Nine (9:30/8:30C). 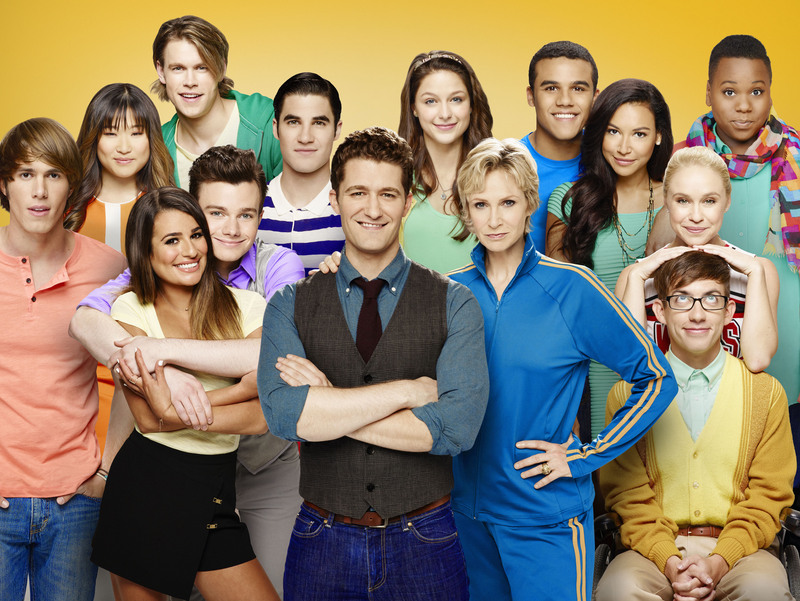 Would You Believe–Two More Seasons for Glee! Glee has been renewed for two more seasons! Yay? Glee Crash PSA: Stop the Texts, Stop the Wrecks! The PSAs are being unveiled today and are the result of cooperation between the U.S. Department of Transportation, Twentieth Century Fox Television, Twentieth Century Fox Home Entertainment, State Attorneys General and the Ad Council. For more information, follow the jump. Fox Television Announces 13 Season Finale Dates – Series Finale Date For House! Fans of Fox series – like Bones, Fringe and New Girl – might want to mark their calendars. Fox announced the season finales for thirteen of their sixteen series – and the series finale for House, today. Check out the full press release following the jump. Eclipse Magazine presents GeekScholars Movie News Podcast – Episode 6! The Lorax Review and tons of trailers! As the awards seasons comes to a close, GeekScholars Movie News, presented by Eclipse Magazine, is back to looking at some big headlines and reviewing all of the latest trailers hitting the interwebs! This week we take talk about an intriguing true-crime story coming to the big screen starring Jonah Hill and James Franco called True Story. We’ve also get the latest on a musical-comedy called One Hit Wonders, coming from the creator of Glee that looks to have an all-star cast ready to take the stage. Then we have a whole plethora of trailer reviews that we dive into, including ParaNorman, Frankenweenie, That’s My Boy, and Bernie, and you’ll find the GeekScholars completely split in their reactions. Finally, we have some interesting updates about Ghostbusters 3, a Muppets sequel, and the return of the National Lampoon’s Vacation series. NBC’s “SMASH” Hits All the Right Notes! It is extremely refreshing to see a series where a courtroom, a hospital, or a crime scene are nowhere in sight. Networks don’t often take chances on a series without one of those popular and successful staples as its foundation. And let’s also get another thing straight – with the exception of the inclusion of songs and musical numbers, there is simply no comparison between Smash and Glee, the first being a serious drama and the latter a comedy that doesn’t take itself too seriously. The good thing about Glee is that its success helped open the door to other shows interested in including music in its formats. Smash takes us behind the scenes into the world of Broadway giving us views through the eyes of the struggling artist looking for that one break to fulfill their dreams; the creative team looking for inspiration in developing the next big thing along with its music and dance numbers; and the people who can write the checks to pay for it all. The characters involved through each of these views are interesting and engaging, and the talented cast does an excellent job bringing them to life. The musical numbers are richly produced and give a true sense of a Broadway stage while giving us an often-painful peek behind the curtain. But the thing that will keep viewers interested will be the personal dramas associated with all the characters. Based on the Pilot episode alone, Smash appears to be hitting all the right notes. Jane Lynch Talks Her EMMYs Hosting Gig – And a Bit of Glee! Yesterday I had the opportunity to take part in a conference call Q&A with Jane Lynch. The subject was her upcoming gig as host of the 63th Primetime EMMY Awards [Fox, Sunday, September 18, 2011, 8/7C] – though some participants squeezed in a few Glee questions. To the surprise of no one, Lynch was comfortable, candid and yet not willing to give up any spoilers. Still, it was a rewarding experience. Check it out following the jump. Glee! The 3D Concert Disappoints Michelle! She’s Ready to Turn in her Gleek Card!